After the release of the company’s first ever Compute Stick, an HDMI dongle that featured satisfactory hardware specifications, Intel is planning to kick it up a notch with Skylake powered processors. 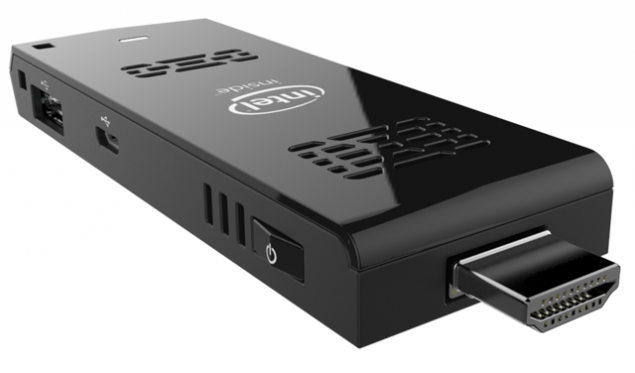 These processors are going to be found in both Compute Sticks and NUC solutions that are going to make their way to the market starting from the month of October. Thanks to a report coming in from DigiTimes, Intel will be launching both products during the month of October. The report also says that companies like ECS, Gigabyte, Asus and ASRock are going to be launching related products in the coming months, which is going to make this a very exciting 2015. As for the manufacturing process, we are confident that Intel is going to stick to its 14 nm process that it used for its Broadwell lineup of processors since 10 nm is way off the scheduled timeline for the company. While PC sales have sunk, demand for Compute Stick and NUC related products have started to rise, primarily due to their affordability and portability. Since mini PC products have started to gain significant amounts of notoriety, Intel will be releasing its new Core m5/m3 processors codenamed Cedar City during the fourth quarter of this year. As for the specifications of the upcoming Compute Stick, the device will be sporting 4 GB of RAM, 64 GB of on-board storage and will also possess the ability to support UHD resolutions. The product running the Core m3-6Y30 processor is going to be released in October and will be pre-installed with Windows 10. The Compute Stick running Intel’s Core m5-6Y57 vPro processor will not feature any pre-installed platform. During Q1, 2016 affordable Atom x5 SoCs are also expected to make their way in to devices. Pricing details of the Compute Stick are currently unknown, but we will keep you guys up to date with the latest info, so stay tuned for more.